Smart Optometry is #1 choice for eye care professionals around the world! Give your patients’ best care with 16 FREE INTERACTIVE, PRECISE and SIMPLE eye exams in 9 languages. 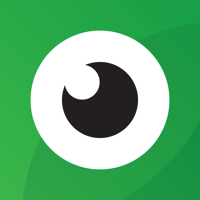 Join 30.000+ eye care specialists using Smart Optometry for eye examinations! Why should your customers undergo the same tests they always go through when they have their eyes tested? Why should this advanced industry stick with old and outdated practices? Because we know language barrier can be a problem, we localised our application to 11 LANGUAGES: English, Spanish, German, French, Russian, Italian, Polish, Norwegian, Czech, Croatian and Slovenian! Want your language added? Let us know at: info@smart-optometry.com. Still not convinced? Read what sets us apart! Our solution is SIMPLE to use! Eye screening and testing shouldn’t be difficult and inconvenient for neither practitioner or customer! 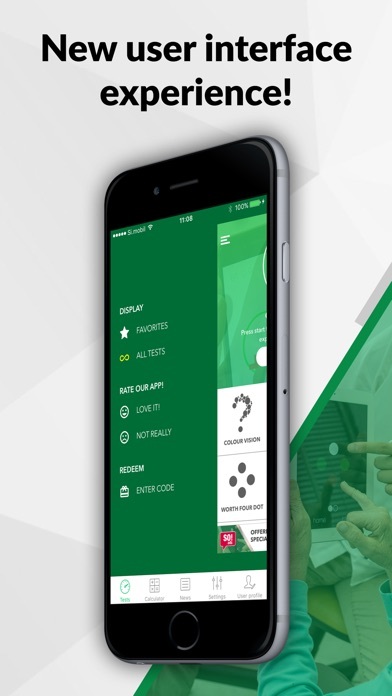 Smart Optometry application is very simple to use: just select the test, read through short guidelines for performing the test, execute it and let our application give you the basic diagnosis – final result or point you in the direction of possible problems that need more thorough examinations! 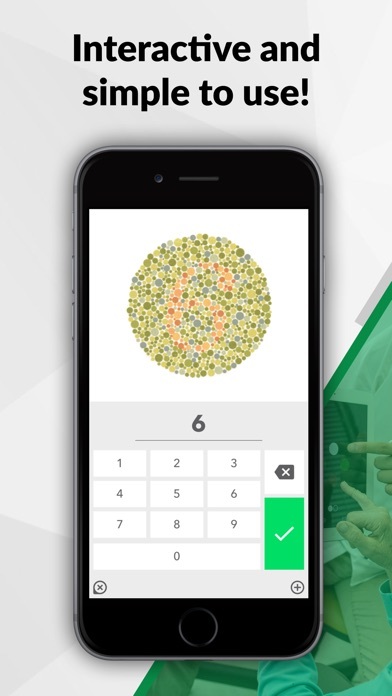 While you are filling out paperwork for a patient, he or she can already test his or her eyesight with basic tests provided by Smart Optometry application. There is no logistics involved in performing the tests: just pick up your iPad and test-away! Results provided are PRECISE and reliable! Eye testing and screening often requires eye-care professionals to make calculations – giving the room for error. 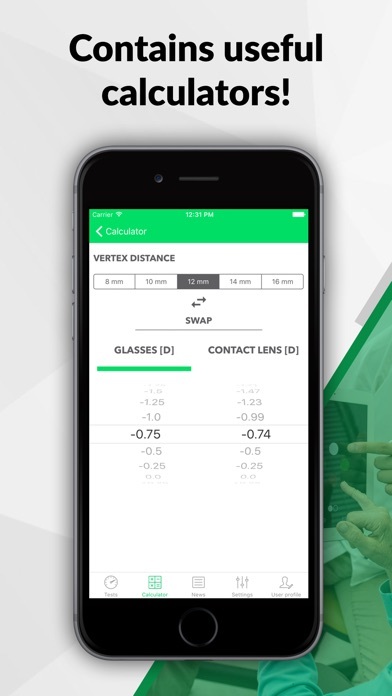 Eliminate this risk with precise calculations and interpretations done by our Smart Optometry application. Our tests are as precise if not more than the currently used on-the-wall testing equipment. All tests are INTERACTIVE and fun! Wouldn’t it be easier to let patients do the things you ask them, rather than try to explain what they see to you? 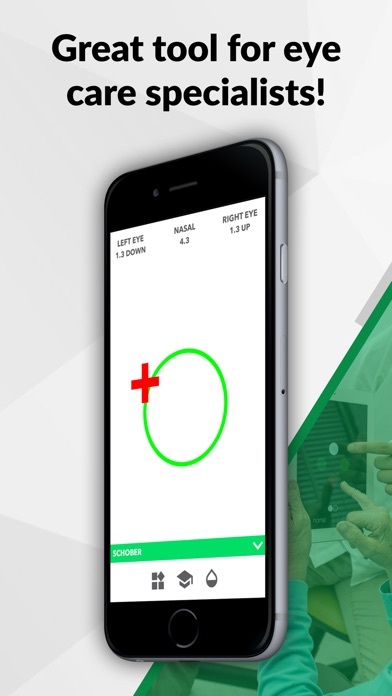 Smart Optometry application is uniquely interactive: user presses buttons, draws on the screen and this way provides precise results – while having fun! 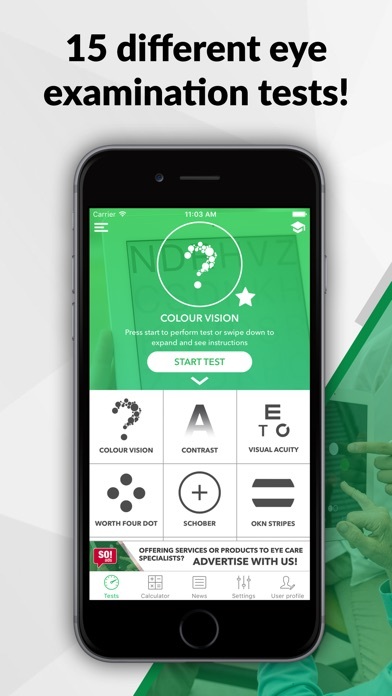 Interactive handling with the Smart Optometry application also enables it to give you result interpretations.